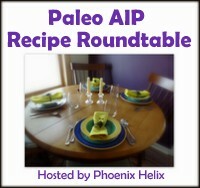 One of the problems with eating a paleo diet is always what to serve with things like curry. Traditionally, curries are served with rice or Indian breads such as Naan and Chapattis. None of these are paleo however. 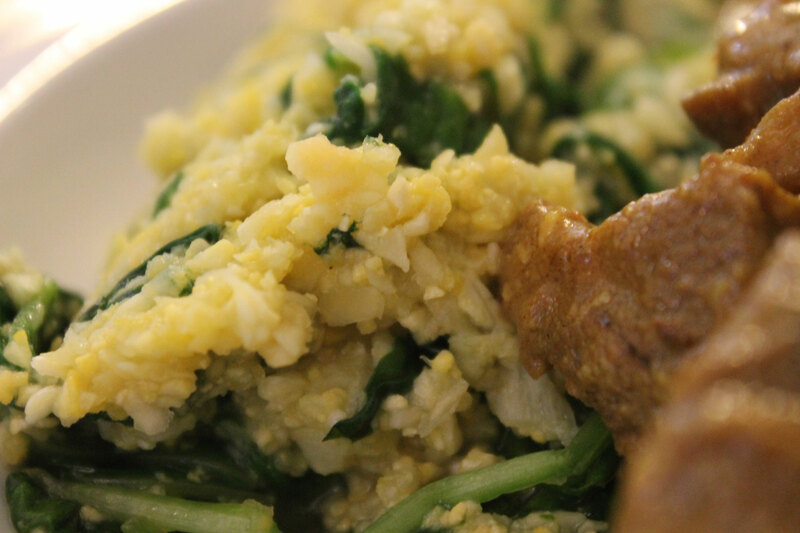 Rice is far too high in carbs and is a grain besides, and the breads are made from wheat, which is not only high carb but is also a gluten-containing grain. A lot of people use a substitute for rice, making it from various vegetables that are ground up to resemble rice-like pieces. 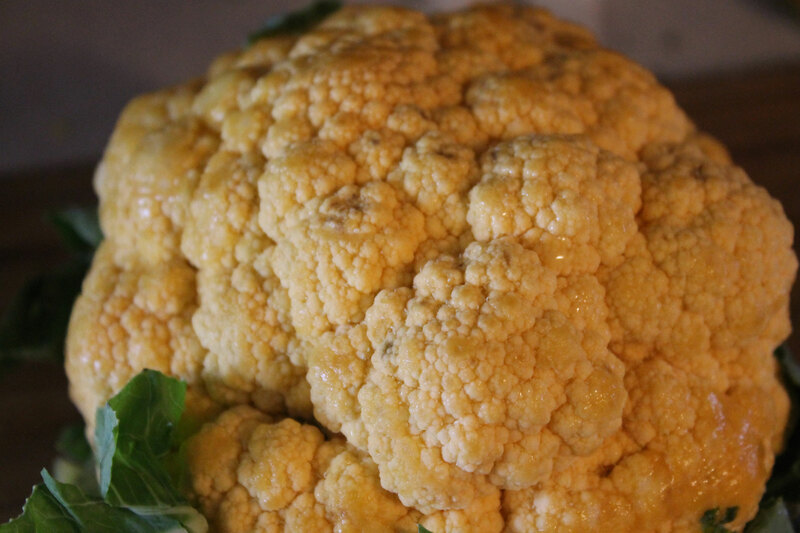 Cauliflower is the most common. 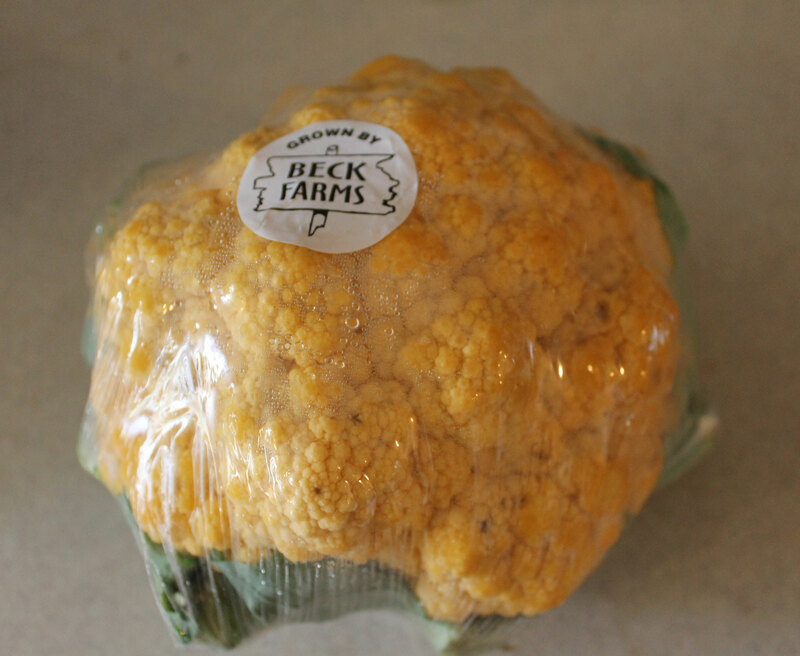 When I was at the Calgary Farmers Market the other day, we were lucky enough to buy what was described as a “Cheddar Cauliflower” from the Innisfail Growers stand. It does not contain any cheese, it did not smell like cheese, so all I can assume is that the name comes from the yellowish colour. And it didn’t taste any different to regular cauliflower either. This is what I used it for, and I served it along side my Goat Curry that I posted about the other day. 1 tbsp fat of your choice. I used coconut oil. 1/4-1/2 a cup of water or bone broth. I used chicken bone broth. 2 -3 cups of chopped spinach leaves. 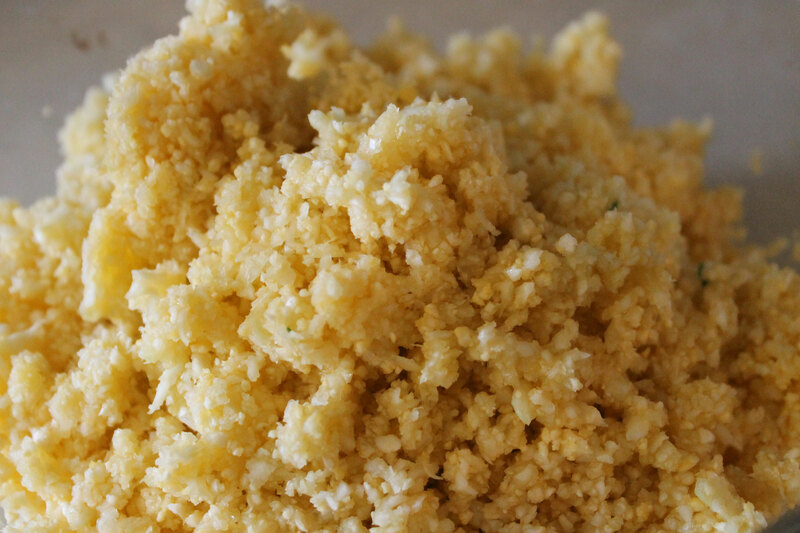 Take your cauliflower and pulse it in a food processor until it resembles grains of rice. You may need to do this in batches. This “rice” is a little yellowish in colour because I used the “cheddar” cauli. If yours is a regular white cali it should look even more like rice. Melt the fat in a skillet (I find a wok easiest tbh), and toss in the cauli grains. Season to taste and add a little water or bone broth. Toss and stirfry the cauli until the moisture has evaporated and the grains are tender. 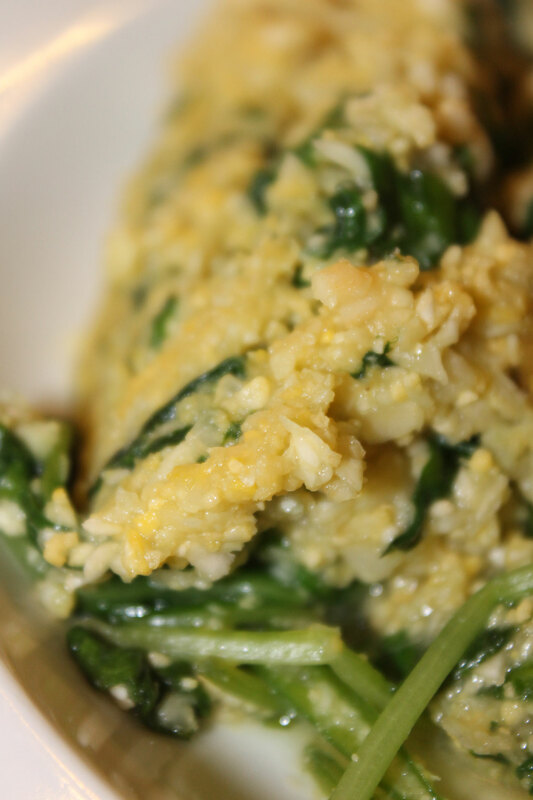 Now add the spinach, and toss well until it is wilted and incorporated into the cauliflower “rice”. Serve at once with your favourite curry! 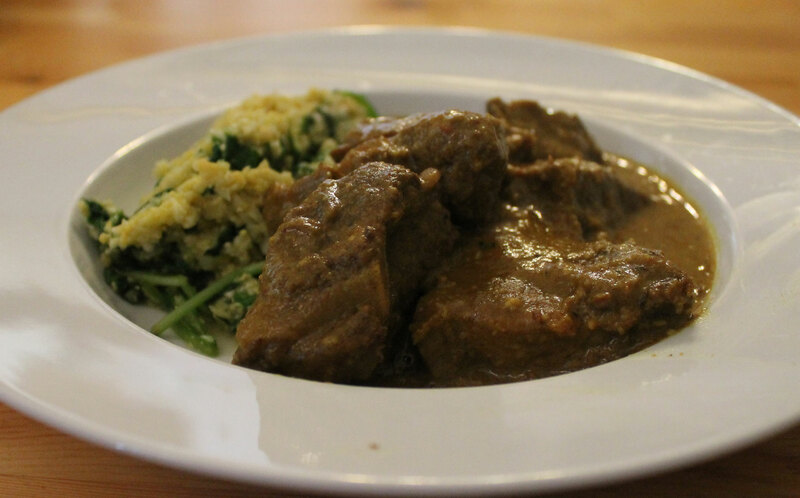 This entry was posted in Recipes and tagged cauli, cauliflower, cauliflower rice, gluten-free, grain-free, low carb, paleo, primal, rice, rice-substitute. Bookmark the permalink. ← Blogging, work and so tired!